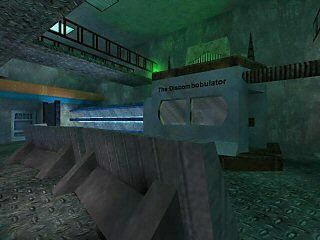 The original Half-Life had some wonderful machines. Some small, some big. Generators, compactors, Gear driven giants. Squashers, crushers, furnaces, rotors and rollers. Not all these machines actually did anything, some were just their for ambience and feel. Create a room with a machine and make the machine belong. It doesn't have to do be a "functional" part of the map, but it must look as though it is meant to be there. Enhance it with lasers, func_rotating, func_platforms, moving gears and lights and whatever else you can think of. Stuck for ideas? Have a look in the opening maps in HL... remember that welding robot? The small electricity generators in the corridor? 1st place goes to the most impressive machine that fits the surrounding map. Hope you guys enjoyed this contest! I haven't played any of the entries yet but they look awesome. Andy and MuzzleFlash have though, so thanks to them for keeping our contests running. I'll hand over to MuzzleFlash now to introduce our latest winners!!! Special Mention goes to Trapt (download) - this map looks as though it is really going to be good. The use of levels and size enhanced the overall feel. The name of the map says it all. Well done. Seventh showed his mapping skills by creating some interesting things, like the car chase, and the reflective floor. This all is very nice, but the main objective was to build a machine. And what a machine! The Discombobulator! The room itself has nice lighting and level design. Thoughtful placement of pipes. I also liked the office area behind the machine room where you see scientist walking. Thumbs up for Seventh! Another great way of making a high tech Black Mesa look-a-like generator. The moving parts on each machine seem real. 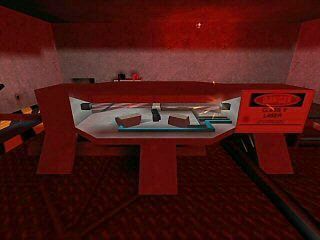 Visual (the red beams) and ambient effects (the scientist voice) combine to make it come alive. And of course, Half-Life wouldn't be Half-Life if this machine didn't explode! A different slant on power. A true to life generator where you can see how the power is made and transported though the facility by wires connecting each other. 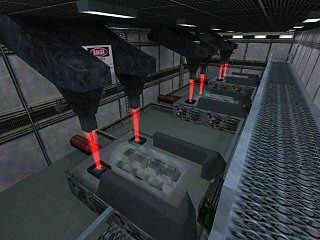 The "core" in the generator room really makes it look important and dangerous, because of the moving parts inside. The whole thing is representitive of a real generator... who said you couldn't map reality? Processed in a begrudgingly terrific 4 milliseconds.